Do you want medical gout treatment to lower your uric acid? Then, GoutPal Plan for Gout Patients is for you. It is a 7 step plan for lowering uric acid. Especially, helpful for choosing the best medicines to suit your unique situation. I wrote GoutPal Plan for Gout Patients for gout sufferers who want to use medical uric acid lowering therapies. 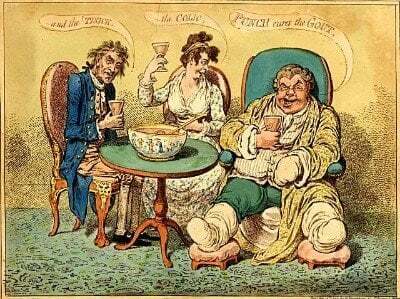 If you are not sure which type of gout sufferer you are, go to Questions for Gout Sufferers. Here is my step-by-step plan for GoutPal Patients. In particular, you should read through each step carefully. But, if you are anxious to start now, see how to get your own personal GoutPal Patients plan, below. Most GoutPal Patients have moved here from GoutPal Plan for Gout Seekers. There, you decide if you prefer medical, herbal, or lifestyle changes. If you prefer medical gout treatment, this is the right plan for you. If you are not certain, please check GoutPal Plan for Gout Seekers, before you start. What do you want to achieve? Make this as personal as you can. It might be controlling uric acid so you never get gout again. But, personal goals are better. Such as, enjoying dancing, or never missing work again. Make your goals as personal as you can. Then, it is much easier to stay motivated. If you want to start a plan now, tell me your personal gout goals in the forums. 2. GoutPal Patients Plan Objectives. Either, lower uric acid to stop gout returning. Or, learn to control gout pain, so you can tackle uric acid lowering with confidence. 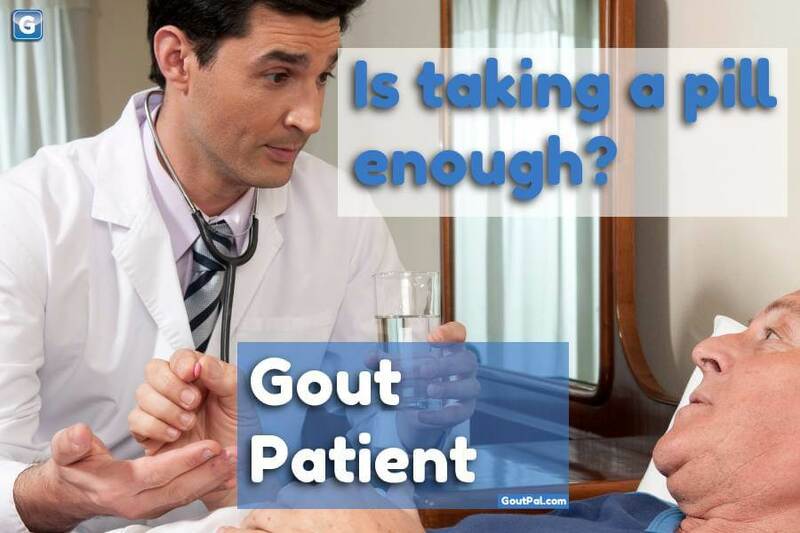 In most cases, GoutPal Patients will start a gout pain control plan first. Because confident gout pain control makes it easier to overcome the challenges of the early months of treating uric acid. 3. Understand how to treat. You undertake to learn the differences between types of excess uric acid. In detail, that means understanding how to treat uric acid under-excretion, or treat over-production. Because, you need to be prepared for step 5, where you will choose specific uric acid lowering treatments. Also, understand why we treat uric acid differently between debulking and maintenance phases of gout recovery. If your objective is gout pain control, you must understand rules for how to treat gout pain quickly. 4. Tests & Targets for GoutPal Patients. Most GoutPal Patients have a Personal Gout Diary, from their GoutPal Seekers Plan. So, you can continue using that for your GoutPal Patient Plan progress. Scheduling tests, and recording results are vital for successful GoutPal Patients plans. Hence, this step often links back from Step 6, as progress usually calls for more tests to ensure a safe recovery. Also, you should use blood test results to discuss uric acid targets with your doctor. Specifically, this includes debulking target, maintenance target and likely timescales. Now, you choose specific treatments from the array of products from pharmaceutical companies. Essentially, we decide the best combination of gout medicines for you. Then, you arrange the most effective safe prescription with your doctor. We assess symptoms, and blood test results. By comparing them to your targets, and accepted safe measures, we ensure you are treating gout correctly. If progress is too slow, we might return to Objectives, or Undertakings. If you cannot find suitable medical gout treatment, you might change to a different type of gout sufferer plan. Finally, your uric acid stays safe. And, you stop getting gout flares. Now, it’s time to enjoy the rest of your life. Please consider helping other gout patients in the gout forums. Use your experience to encourage struggling gout sufferers to get effective medical treatment for gout. There are many examples of personal help for GoutPal Patients in the Forums for GoutPal Patients. Remember, topics are for individual GoutPal Patients. So, you must adjust suggested gout medicines for your situation. If you want casual help with your GoutPal Patient plan, just ask in the gout forums. You can ask about any aspect of your gout, at any time. Do you have suggestions for improving GoutPal Plan for Gout Patients? Then, please add your comments to Improving Help For GoutPal Patients. Or, send the Feedback Form, below.